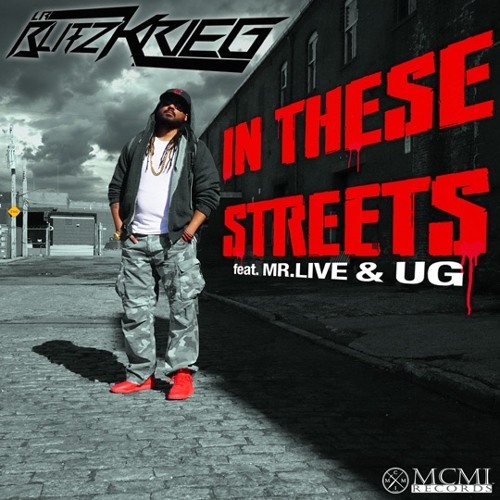 LR Blitzkrieg is back with his second single and / video “In these streets” featuring Underground hip hop vets Mr.Live and U.G. (Cella Dwellas). Produced by U.G., the hard hitting track takes aim at today’s Hip hop climate with the intent to kill. The video is a mad dash through the streets of brooklyn as Blitz and his like minded MC friends chase “Lil” and “Yung” played by Qaasim and Khalil Middleton (of the group Juggernaut War Party, and of television's The Getdown, The Naked Brothers Band and American Idol.) to teach them a lesson in what real hip hop is.